1. Maris J.M. Recent advances in neuroblastoma. N Engl J Med 2010;362(23):2202–11. doi: 10.1056/NEJMra0804577. 2. Goodman M.S., Gurney J.G., Smith M.A., Olshan A.F. Sympathetic nervous system tumors. In: Ries L.A.G., Smith M.A., Gurney J.G., Linet M., Tamra T., Young J.L. Jr, Bunin G.R., eds. Cancer incidence and survival among children and adolescents: United States SEER Program 1975– 1995. National Cancer Institute, SEER Program. Bethesda, MD, 1999. Pp. 65–72. 3. Spix C., Pastore G., Sankila R., Stiller C.A., Steliarova-Foucher E. Neuroblastoma incidence and survival in European children (1978– 1997): report from the Automated Childhood Cancer Information System project. Eur J Cancer 2006;42(13):2081–91. doi: 10.1016/j.ejca.2006.05.008. 4. Геворков А.Р. Паранеопластические синдромы. В кн. : Онкология: национальное руководство. Под ред. В.И. Чиссова, М.И. Давыдова. М.: ГЭОТАР-Медиа, 2008. С. 547–570. [Gevorkov A.R. Paraneoplastic syndromes. In: Oncology: National guidelines. Edited by V.I. Chissov, M.I. Davydov. M.: GEOTAR-Media, 2008. Pp. 547–570. (In Russ.)]. 5. Качанов Д.Ю., Шаманская Т.В., Малевич О.Б., Варфоломеева С.Р. Синдром опсоклонус-миоклонус и нейробластома (обзор литературы). Российский журнал детской гематологии и онкологии 2014;1(1):62–9. doi: 10.17650/2311-1267-2014-0-1-62-69. [Kachanov D.Yu., Shamanskaya T.V., Malevich O.B., Varfolomeeva S.R. Opsoclonusmyoclonus syndrome and neuroblastoma (a review of literature). 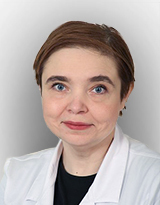 Rossiyskiy zhurnal detskoy gematologii i onkologii = Russian Journal of Pediatric Hematology and Oncology 2014;1(1):62–9. doi: 10.17650/2311-1267-2014-0-1-62-69. (In Russ.)]. 6. Qureshi S.S., Bhagat M., Anam J., Vora T. Aggressive cervical neuroblastoma with a rare paraneoplastic syndrome: A therapeutic dilemma. J Indian Assoc Pediatr Surg 2016;21(4):181–3. doi: 10.4103/0971-9261.186548. 7. Bourdeaut F., de Carli E., Timsit S., Coze C., Chastagner P., Sarnacki S., Delattre O., Peuchmaur M., Rubie H., Michon J.; Neuroblastoma Committee of the Société Française des Cancers et Leucémies de l’Enfant et de l’Adolescent. VIP Hypersecretion as Primary or Secondary Syndrome in Neuroblastoma: A Retrospective Study by the Société Française des Cancers de l’Enfant (SFCE). Pediatr Blood Cancer 2009;52(5):585–90. doi: 10.1002/pbc.21912. 8. Farthing M., Salam M., Lindberg G., Dite P., Khalif I., Salazar-Lindo E., Ramakrishna B.S., Goh K., Thomson A., Khan A.G., Krabshuis J., LeMair A. Acute diarrhea in adults and children: a global perspective. World Gastroenterology Organisation Global Guidelines, 2012. [Electronic resource]: http://www. worldgastroenterology.org/UserFiles/fi le/guidelines/acute-diarrheaenglish-2012.pdf (appeal date 20.09.2018). 9. Verner J.V., Morrison A.B. Islet cell tumor and a syndrome of refractory watery diarrhoea and hypokalemia. Am J Med 1958;25:374–80. PMID: 13571250. 10. Green M., Cooke R.E., Lattanzi W. Occurrence of chronic diarrhea in three patients with ganglioneuromas. Pediatrics 1959;23(5):951–5. PMID: 13645132. 11. Balemba O.B., Grondahl M.L., Mbassa G.K., Semuguruka W.D., HaySmith A., Skadhauge E., Dantzer V. The organization of the enteric nervous system in the submucous and mucous layers of the small intestine of the pig studied by VIP and neurofi lament protein immunohistochemistry. J Anat 1998;192(Pt 2):257–67. doi: 10.1046/j.1469-7580.1998.19220257.x. 12. Pincus D.W., DiCicco-Bloom E.M., Black I.B. Vasoactive intestinal peptide regulates mitosis, diff erentiation and survival of cultured sympathetic neuroblasts. Nature 1990;343(6258):564–7. doi: 10.1038/343564a0. 13. Tiedemann K., Long R.G., Pritchard J., Bloom S.R. Plasma vasoactive intestinal polypeptide and other regulatory peptides in children with neurogenic tumours. Eur J Pediatr 1981;137(2):147–50. PMID: 7308225. 14. Tiedemann K., Pritchard J., Long R., Bloom S.R. Intractable diarrhea in a patient with vasoactive intestinal peptide-secreting neuroblastoma. Attempted control by somatostatin. Eur J Pediatr 1981;137(2):217–9. PMID: 6118274. 15. Adam N., Lim S.S., Ananda V., Chan S.P. VIPoma syndrome: challenges in management. Singapore Med J 2010;51(7):e129–32. PMID: 20730389. 16. Kabalan P., Giff ord A.J., Ziegler D.S. Unresectable VIP-secreting neuroblastoma: Effi cacy of debulking and steroids for symptom control. Pediatr Blood Cancer 2018;65(12):e27358. doi: 10.1002/pbc.27358.